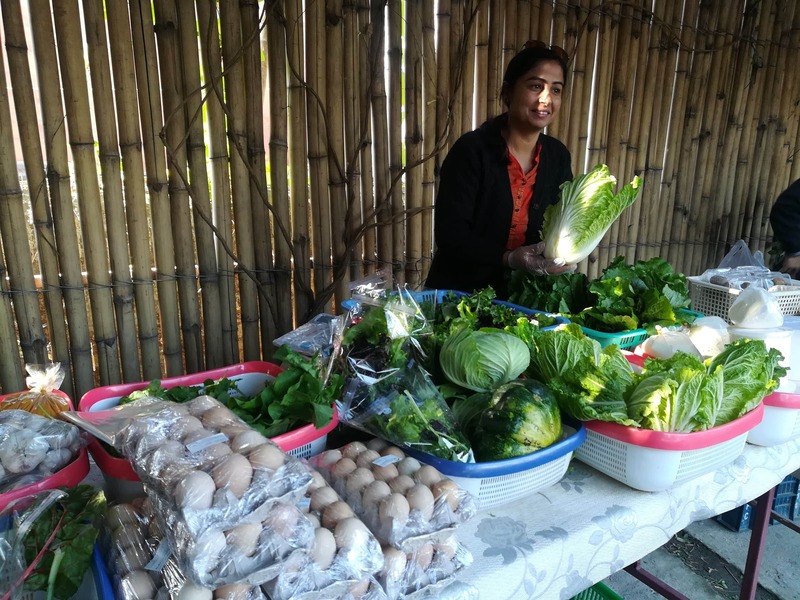 Himalaya Organic Garden, an integrated organic farm operating near Kathmandu, has been producing organic vegetables, salads and dairy products for more than six years. 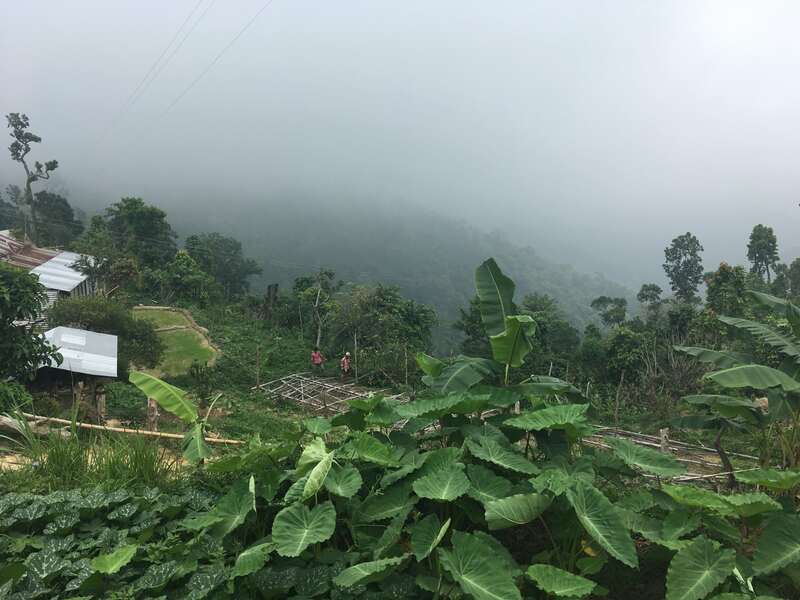 It has been growing its own products, designing its own brand, and selling its products in farmers markets, which have been established by the Himalaya Organic Garden itself. The practice of organic production is a boon to help maintain biodiversity as it is free of harmful chemical pesticides. 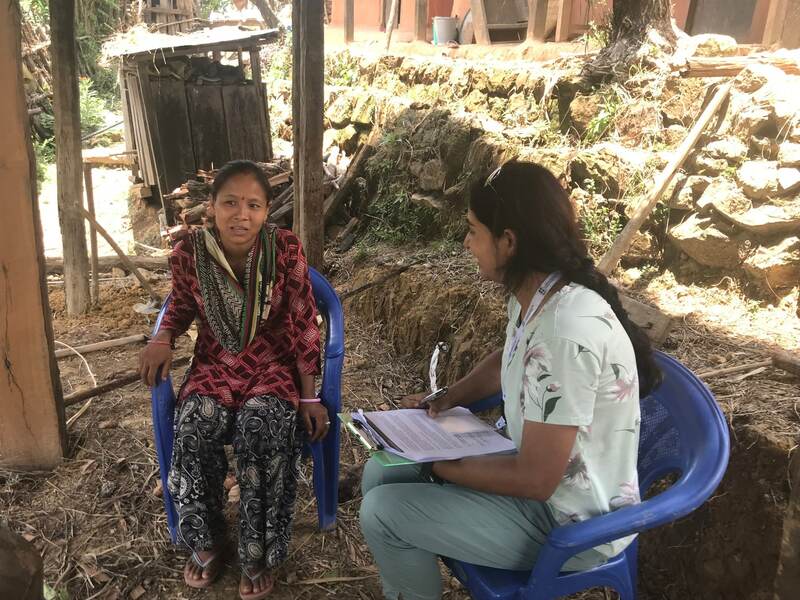 Recently, with the support of Rare, the farm has reached out to the village of Jasrame in Arghakhachi, district in the western part of Nepal. For generations, the majority of farmers have been de facto organic producers. However, lacking certification and access to markets, they were so far not able to tap into the growing urban market for organic. By supporting the farmers in production, certification and establishing farmers markets in the nearby urban areas, Himalaya Organic Garden helps farmers fully utilize their potential. Transportation: Families in Jasrame farm on small plots, so the products are not in bulk. Moreover, all the vegetables, fruits and other crops are seasonal. In order to transport the valuable products to the marketplace, systems needs to be well coordinated. Matching supply and demand: It is difficult to convince new customers of this new source of locally and organically grown food. Trust is not established easily. So, campaigning and advertising is required to assure them. Competition in the market: The local market predominantly depends on Indian vegetables and fruits. The vendors keep the market in their grip, therefore, they don’t easily let local farmers offer organic products as this is seen as threat. Under the motto of "From Our Farm to You", more than 100 local and small scale farmers along with 500 indirect beneficiaries are helped by the initiative. The building blocks are represent phases of the "From Our Farm to You" initiative. The first phase encourages the households to transition from de facto organic farming to commercial organic farming. Along with their regular crop and vegetable farming, they also start producing high-value crops. In the second phase, a team is formed to drive market expansion, catering to close-by urban areas as well as major cities. The team finds one and/or two suitable area/s to establish farmers markets, either in a public place or private grounds (hotel/restaurant/mall). The sub-metropolitan city mediates the two parties to run farmers market once and/or twice in a week. In the third phase, the team manages to collect, transport and sell the products in the farmers market, and also to the capital city. Organic farming supports us in three ways: socially, economically and environmentally. Organic farming is a kind of traditional farming, in which no chemical pesticide is used. The traditional farming method supports a harmonious relationship with nature. In all the processes from planting to harvesting, it requires human resources. Traditionally in Nepal, the field work was undertaken jointly. Farming together used to be a platform to exchange work forces, sorrows and happiness which ultimately supported social harmony. When this sort of farming is revived, it will re-establish harmony between community people. Arghakhanchi district's ecologically gifted land has high potential of yielding. This is matched by high demand and capital in the nearby urban market. So, awareness raising, training and support in marketing to the community will encourage all the households to grow higher value crops, such as avocado, kiwi, moringa and chia seeds. 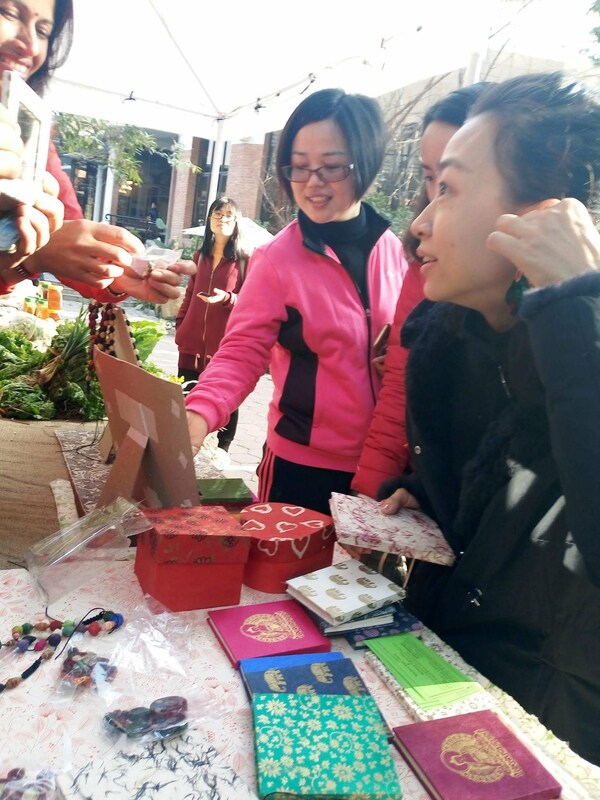 Thus, the households themselves become the producers and sellers of their own products in the markets, consequently it will help the community establish economically sound and resilient lifestyles. Organic production along with the appropriate markets inspire the producers to keep going on the same track. After I lost my mother due to lymphoma cancer in her brain, I started to research causes of cancer. The use of chemicals and pesticides in food appeared among the main reasons. I learnt that the vegetables we were consuming were grown with chemical fertilizers and pesticides. Equally, I had realized that we were inviting some diseases through our food. We started venturing into different corners of Kathmandu valley in pursuit of organically grown vegetables. We found few and they were limited in number. After this frustrating search, I started to grow few organic vegetables and salads on my own rooftop. It encouraged me to grow more so that I could share with others who got interested in organic. By that time I had almost quit my previous small import business. When I finally bought farm land , it was barren land, filled with grass at a new place, in an unfamiliar suburb. I vividly remember those days hard days: Monsoon season, rainy days, lack of money and ideas. My husband, as a teacher, only could support me in the afternoon as he had classes in the morning. The internet was my school: Mostly I surfed to research huge and unfamiliar subject areas: Plantation, seedlings, harvesting and more. Slowly my products grew and I had to start the hunt for markets: From department stores to mini organic marts. Later on I also ran my own outlet. Nowadays, the customers visit my farm to buy. Twice a week us organic farmers in Kathmandu have been running farmers’ market, where we sell salads, vegetables, dairy products, local eggs, cereals, lentils and more. Also, I was offered an opportunity to provide services as consultant for rooftop farming in the downtown of Kathmandu among 25 different households. At present, I am more involved in production of new varieties of herbs, salads, fruits and more. Also, I am developing my farm to serve as a learning center for the junior children and a research center for the higher level students. A couple of women groups have been formed in my suburb based on my initiative. From a barren plot, my farm has turned into a vibrant venue to discuss, observe and innovate organic farming, livelihoods and sustainability.